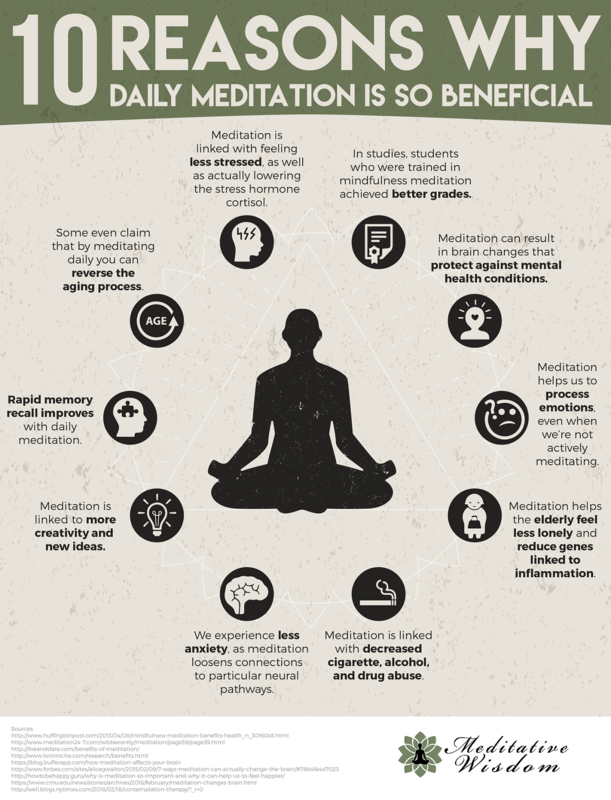 10 Reasons Why Daily Meditation is so Beneficial #Infographic ~ Visualistan '+g+"
What is there to gain from daily meditation? Is there enough of a benefit to invest the time into learning meditation? There's plenty of research to show the benefits of meditation, over 500 scientific research papers published in the last year alone. In most of the studies it was shown that those who meditated on a daily basis realized more benefits from the practice than those who meditated occasionally. However, those that meditated occasionally also received benefits in comparison to those who did not meditate at all. So there are some benefits available to those who only meditate once in a while, but many more benefits for those who meditate regularly. 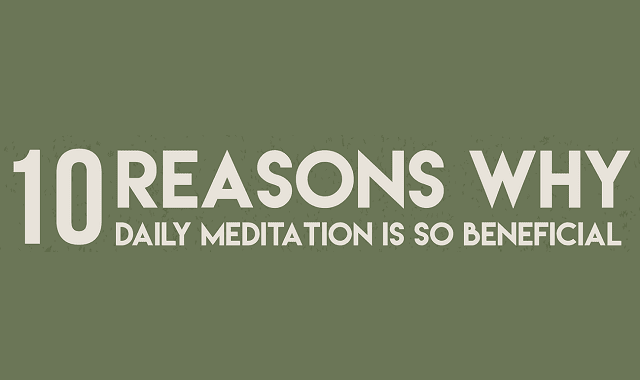 In this infographic we look at 10 of the reasons why daily meditation is so beneficial. Such as, how meditation is linked with feeling less stressed as well as lowering the stress hormone Cortisol. And, students that were trained in the practice of mindfulness meditation were able to achieve better grades. In addition, meditation can help to protect against mental health conditions and may even help to slow down or reverse aging. So, if you are considering meditation as a way to improve your life in some way, just consider the many benefits and all the research that shows how beneficial meditation can be.